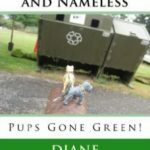 Children’s Books – our way of saving animals! Gray and Nameless to the rescue -- literally! We are delighted to introduce our series of children’s books, where we will be your Guide Dogs to finding finding joy and conquering challenges in everyday life! And the very best part: 100% of profits from these books go toward animal welfare organizations! Some of our favorites are Rocket Dog Rescue, Noah’s Arks Rescue, The Jane Goodall Institute, and the David Sheldrick Wildlife Trust. Buy one or collect all seven! Available at CreateSpace (where more of the sale price will go toward saving animals), or Amazon. “Meet Gray & Nameless, your Guide Dogs to finding finding joy and conquering challenges in everyday life! 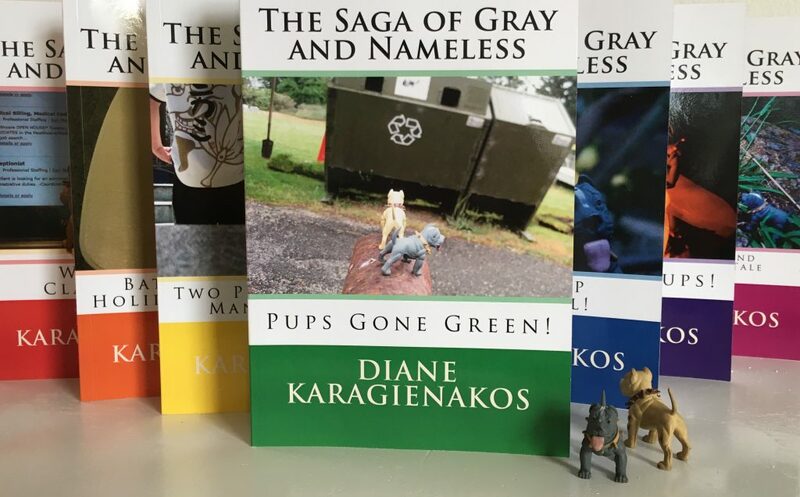 As you might imagine by their names, days were pretty dull for Gray & Nameless before they met. But together, every day is an exciting, meaningful adventure! 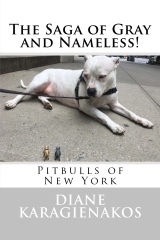 Pitbulls of New York When Gray and Nameless visit New York, they make a point of talking to The City’s Pitties—and learn that every pup has a story to tell! 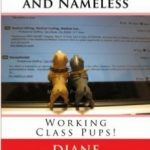 Working Class Pups! Feeling the urge to be a more productive part of society, Gray & Nameless decide to join the workforce! Battling Post-Holiday Pup Pudge! Like most of us, Gray & Nameless did a little too much snacking over the holidays. Time to start exercising! 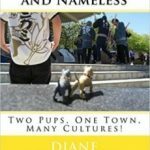 Two Pups, One Town, Many Cultures! When Gray & Nameless learn how much rich Chinese culture there is in San Francisco’s own Chinatown, they set out on a journey to experience the city’s diversity by exploring its many ethnic neighborhoods. Pups Help Pups Heal! 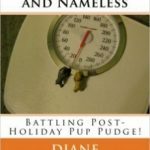 After going through an unsettling ordeal, Nameless has difficulty returning to everyday life. But with Gray at his side for support, he gets the help he needs to put the experience behind him and move on. Imagining Pups! With the weather bleak outdoors, and no internet connection indoors, Gray & Nameless discover there are lots of ways to brighten the day — with a little imagination, that is! 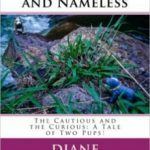 The Cautious and the Curious: A Tale of Two Pups! Some pups are cautious. Some pups are curious. On a recent Sunday spent exploring their beautiful neighborhood park, Gray & Nameless realize that it’s good to be both cautious and curious in equal measure! 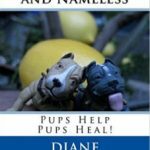 about the author: Diane Karagienakos is a Certified Human-Animal Intervention Specialist (CHAIS), an animal welfare and humane education advocate, an a writer. 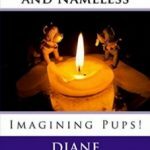 Her muse is her own rescue pup, Picard, with whom Diane volunteers as an Animal Assisted Therapy (AAT) team.